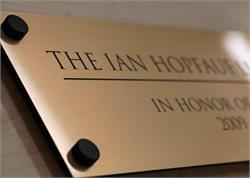 10"W x 2"H custom engraved door sign and engraved desk office sign with free text and company logo personalization. 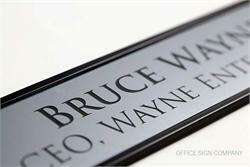 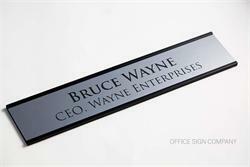 Architectural grade metal sign holder in matte black or silver frame, your choice - with custom name plate insert. 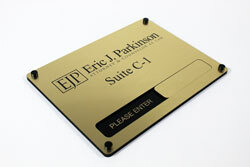 Custom engraved door name plates with FREE text personalization. Virtually any color of engraved sign material available, including Green Marble, Navy, Black and Warm Mahogany office sign plates, to name a few. 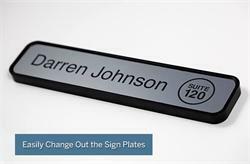 If selecting a plate only option, no frame will be included. 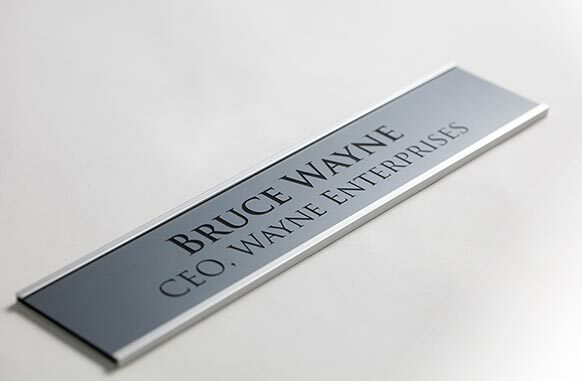 The plate will work as a replacement plate in both the desktop and the wall frame. 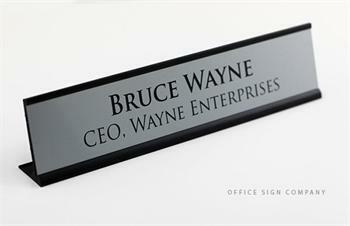 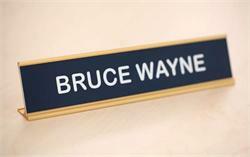 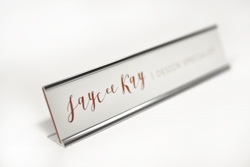 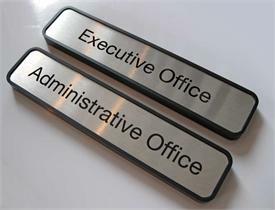 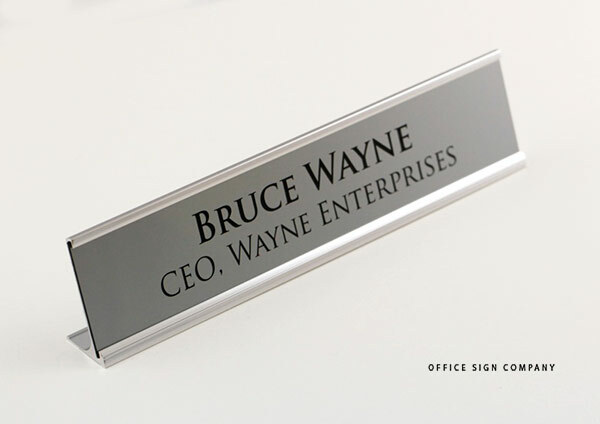 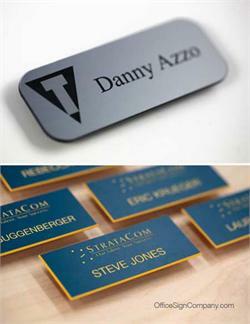 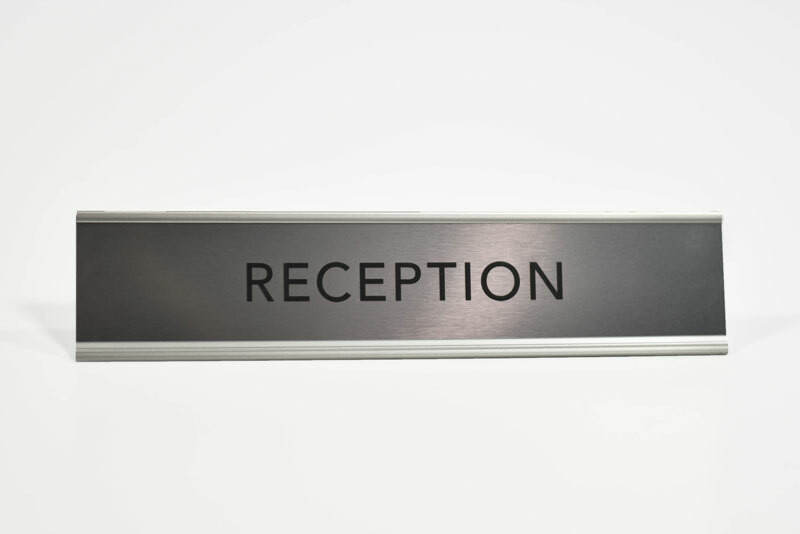 Engraved office nameplates with easy hang frame. 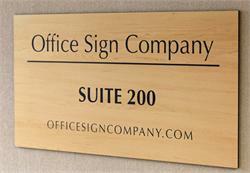 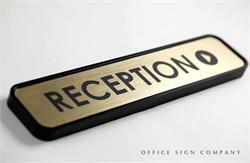 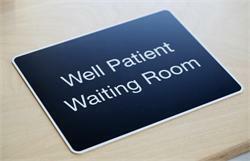 Wall, door or glass mount office signs make a lasting impression. 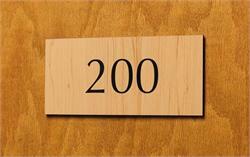 Choose mounting options for easy installation. 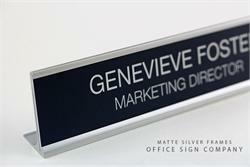 Engraved signs remove easily from frame for economical changing of name plate. 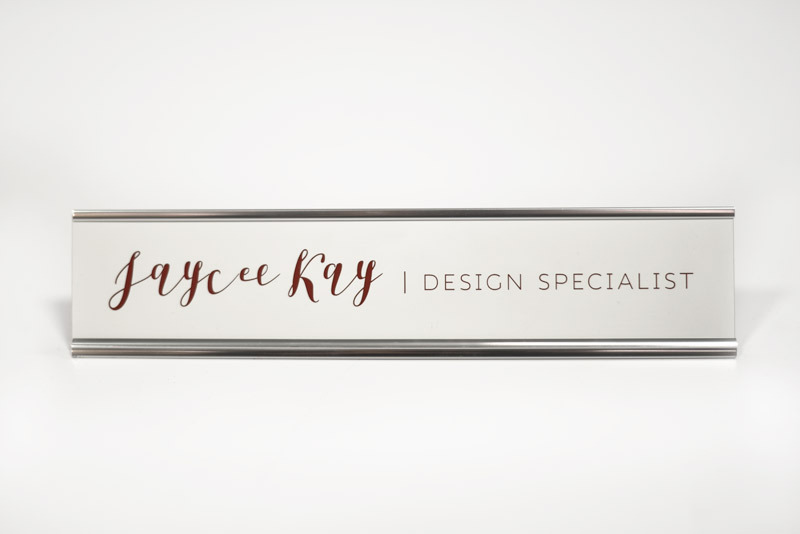 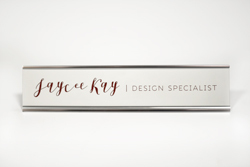 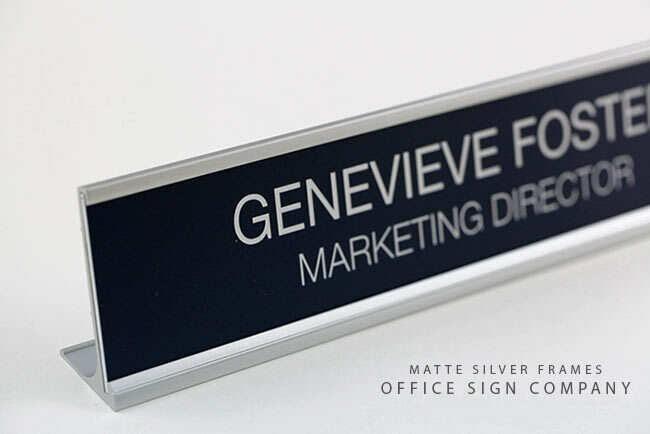 Silver engraved nameplates with easy hang frame. 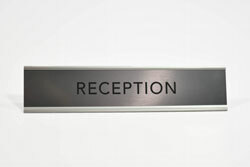 Wall, office door or glass mount. 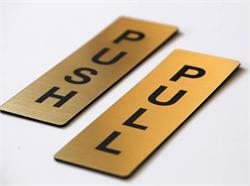 Choose mounting options for easy installation. 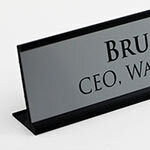 Engraved signs remove easily from frame for economical changing of name plates.